For a DOZEN years I’ve been preaching that “Content Is King” when it comes to online marketing. And, now I’m hearing it from the real experts. Gary Vaynerchuk is an online marketing sensation. Dude’s a genius. Really… he is. I’ve been following him on and off for a few years. And, I dare suggest that Gary Vee is referring to SELF-CREATED content. That’s what I’ve been preaching. I do not believe this can be delegated to a third party… especially one that doesn’t know you or work with you on a daily basis. To RESONATE with your visitors, viewers, listeners, or audience, it’s got to be PERSONAL. I don’t believe you can connect with your audience when someone else is doing the talking for you. Over the years, I’ve also sparred with other dentists in online discussions about the “glitz” factor Gary refers to in the first video. Dentists like shiny objects and cool special effects. We’re techno-geeks. We love gadgets. And, many dentists mistakenly believe that flashy websites are better than non-flashy websites. My own website is decidedly non-flashy. But, it is CONTENT-RICH. And, it’s all MINE. I wrote every word. And my personalized message resonates with visitors searching for THE dentist for them. Get busy writing your OWN content, Dental Warriors! This entry was posted in Editorial, Marketing, Social Media, Websites and tagged content, content is king, Gary Vaynerchuk, Gary Vee, social media, websites. Bookmark the permalink. 9 Responses to Content Is King – Gary Vee Said So! 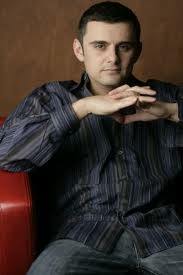 I’m a big fan of Gary Vaynerchuk…his message is magic!! He has amazing insight! Awesome from the stage too, have you seen him? Not in person. But, I’ve watched a number of his keynotes on Youtube. I frequently check out “competitor” websites and laugh when I see duplicate content. Most stem from those who use companies that sell website templates. It’s very common, Duane. Thanks for chiming in! I’m sure it feels good to be right. Congrats on being ahead of the curve! Google is a monster and it’s only going to get better. It’s scary to think how much they’ll control our lives and our decisions in another 10 or 20 years. Google is a wonderful tool, though! Interesting article and videos from Gary. Very informative and had some good ideas that I will look into for my business. I think you are on the right track if you can leverage the writing skills of your team. We asked our team if there was anybody that likes to write and we actually had a couple people raise their hands. Now they are working on content for us along with doing social media posts.